A Lost Lady is the portrait of a frontier woman who reflects the conventions of her age even as she defies them. To the people of Sweet Water, a fading railroad town on the Western plains, Mrs. Forrester is the resident aristocrat, at once gracious and comfortably remote. To her aging husband she is a treasure whose value increases as his powers fail. To Niel Herbert, who falls in love with her as a boy and becomes her confidant as a man, Mrs. Forrester is by turns steadfast and faithless, dazzling and pathetic: a woman whose charm is intertwined with a terrifying vulnerability. 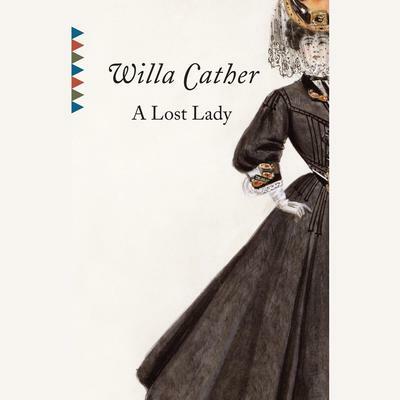 Willa Cather (1873–1947), the Pulitzer Prize–winning author of more than fifteen books, is widely considered one of the major fiction writers of the twentieth century. She grew up in Nebraska and is best known for her depictions of frontier life on the Great Plains in novels such as O Pioneers!, My Ántonia, and Song of the Lark. In 1944 she was awarded the American Academy of Arts and Letters Gold Medal for Fiction. She won the Pulitzer Prize in1923 for One of Ours.